The Cygnus Wall complex is part of the more recognisable North American nebula. 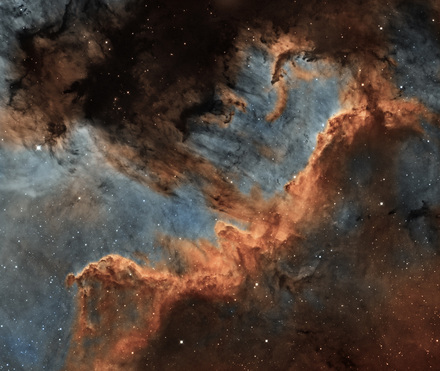 This ridge is approximately 20 light years long and is a huge star forming region. 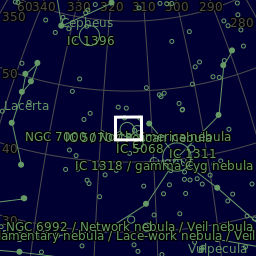 You can see where it is in a larger picture below. 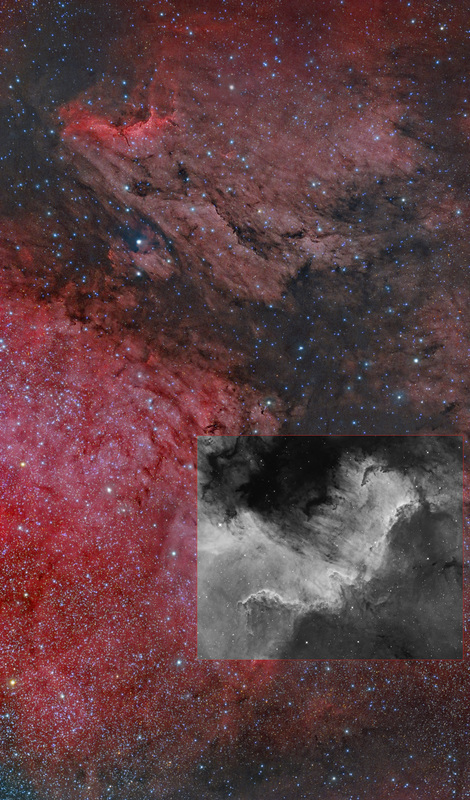 This is a 4 pane mosaic as the field of view was too small to fit in the Cygnus Wall itself. This is a combination of the mono data above created with the ODK10 as a 4 pane mosaic and the OIII data created with the TakFSQ85 a couple of years ago. As the OIII was only being used essentially for the colour, I knew that the actual resolution wasn't important as in the Ha layer.